November’s here! And while we technically have Thanksgiving before the start of the crazy Christmas season, I think we all know the craziness really starts now. Sally’s already informed us exactly what she wants from Santa this year, which seems way too advanced for a two-year-old. She has high hopes, so we’ll be keeping our eyes peeled for good deals this month and next. Somehow we went over just a bit in almost every category in October. Actually, I know how. We kept getting behind on tracking our spending, and so we weren’t as aware as usual. When we finally did catch up, it was too late! It was one of our busiest months with starting our side business and my half-marathon training ramping up. But both of those are behind us now, and we’re hoping for some more normalcy (and sleep!) this month. I’m also hoping to start some of our Christmas shopping this month so our expenses are spread out and not just lumped into one big, jaw-dropping amount. And while budgeting is the same as always, the way we look at money has changed some since becoming self-employed. Our income is less predictable, and it comes less regularly and from a few different sources instead of just one. So that’s been an adjustment that both of us are still getting used to. Starting this month, we’ll be having Sally and Winnie watched part time. We’ll be doing a trial run of the number of hours and whether to just have Sally or both girls watched. I’ll be able to share more details on the cost at the beginning of next month. Deciding to have them watched regularly was a hard choice, but I’m hoping it will help me be a more present parent since I’ll be able to separate work and parenting better. We’re planning to start holiday shopping this month, so we sat down and reviewed our Christmas budget just last night. I’m not sure how much of it we’ll spend this month, but we have it noted just in case. 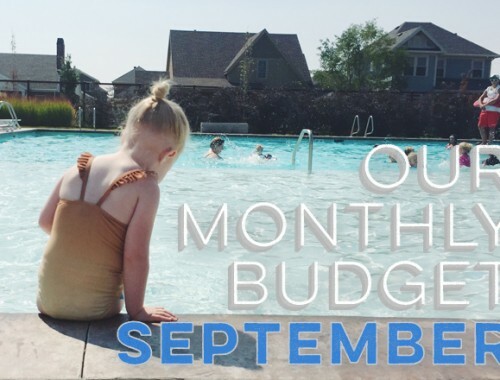 As I mentioned in October’s budget, we have our savings amount listed the same for each month for now, but we’re still working on figuring out what we’ll actually be saving with our self-employment income and expenses. We’ll report on how this year shaped up once we do our end-of-year net worth. So that’s November’s budget. I love this time of year so much. I’m going to be extra motivated to keep all our budgeting categories in line so I can spend our Christmas budget without any extra anxiety :). 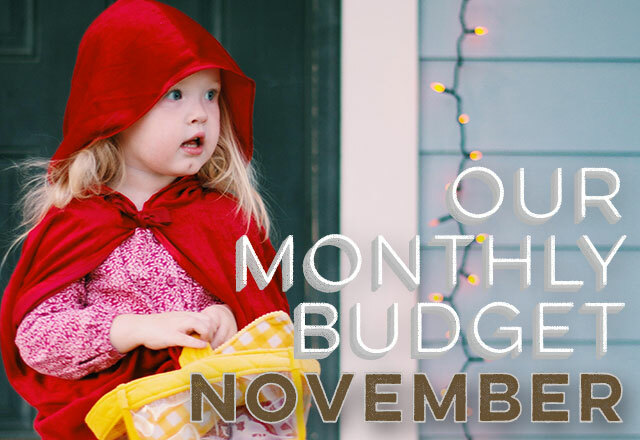 Have you planned your November budget yet? We’d love to hear about it! Well, being Canadian, our Thanksgiving was celebrated ahead of yours (in October), along with Halloween (which just so happens to land on my b/day – lol) where we had fun giving out treats to the neighbourhood little ones all dressed up in their scary costumes. So it was a busy month of activity and out of town travelling to visit family and relatives. November is shaping up to be busy as well. 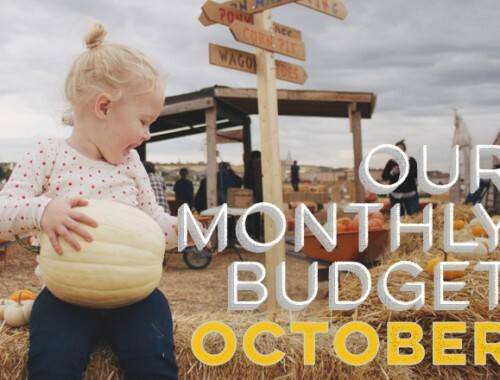 Budget-wise we’re doing well for November but have included some additional expense items, such as car winter maintenance (getting ready for the snowy days ahead – getting those snow tires ready, etc.) . Investment-wise, things have improved a tad in total net worth, as compared to the past few months, so things are on the upswing in time for the Christmas season ahead. I think a post about your thought process on deciding on adding childcare to the mix as well as how you weigh your care options could make for some great content! Personally my girls were in daycare from the age of 12 weeks. It did them wonders and I never thought of it as a bad thing. When my oldest started kindergarten I really started to regret being a work outside the home mom. Part of it was a lack of enthusiasm for the work I do, but I have a lot of guilt now because they have to work SO hard in school at such a young age and then be on lengthy bus rides to and from daycare only to come home and be slammed with homework when they come home. My working means they gave very little time to just be kids! I think when your girls get older the arrangement you have made will give you the time you need to work uninterrupted AND lots of family time. Best of both worlds! 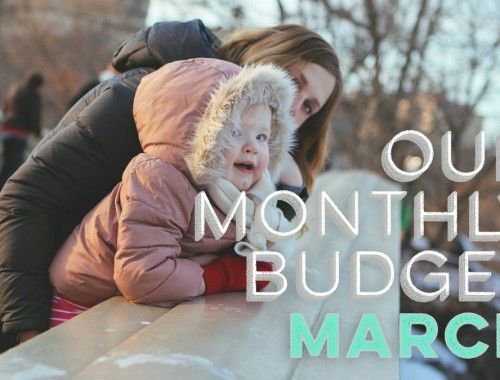 With your newly entirely fluctuating income, getting a month ahead and budgeting on last month’s income could be helpful. Getting some help with the beans helped me to feel like I was succeeding at both my business and being a mom again. Before that I was overwhelmed and felt like I was failing at both tasks. I think having the girls watched PT will do WONDERS for you as parents!! I have two little girls too and it’s helped immensely. And not only that, but my 3-year-old has just thrived in that environment. Good luck w the transition and enjoy the peace! !